More information is available at the university's online archives. Professor Michèle Alexandre, J.D., a leading civil rights scholar, administrator and trailblazer, is selected as the next dean of the College of Law at Stetson University. 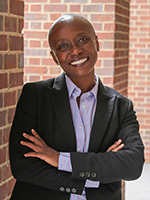 Alexandre is the College of Law's first African American dean. She begins her new role on June 17. Alexandre takes over for Professor Kristen Adams, who has served as the interim dean. Stetson reveals the university's first solar array on the roof of the Carlton Union building in March. The 231 solar panels are expected to produce an estimated annual value of 131.2 MWh. The $180,000 project was paid for through Stetson's Revolving Green Fund (an annual student fee), SGA, the university and a loan to be paid back through energy savings. Sandra Stetson Aquatic Center opens in February on the shores of Lake Beresford. The approximately $7 million facility was built to house Stetson's rowing teams and its Institute for Water and Environmental Resilience. The 10-acre site includes space for the community to launch non-motorized boats as well as a botanical garden. 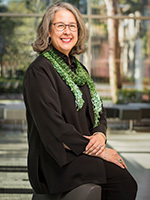 In February, Stetson President Wendy B. Libby, Ph.D., announces her decision to retire in June 2020 after 11 years in the topleadership role. Libby became Stetson's ninth president in July 2009 and its first female president since the university was founded in 1883. A ribbon-cutting ceremony in January marks the official re-opening of the fully renovated and expanded Carlton Union Building (CUB) in the heart of campus serving more than 3,445 students each day as well as staff and faculty. Under renovation for two years, the project expanded the 1950s-era building by 48 percent to 84,320 square feet, providing a larger dining hall and kitchen, coffee shop, bookstore, post office WHAT Radio station, Student Government Association offices, student lounge, staff/faculty lounge and other areas. Stetson's Community Education Project is awarded a $210,000 grant to expand classes for incarcerated men in Tomoka Correctional Institution, as well as begin offering college credit for courses in the fall. The prison education program receives statewide attention as a result of their efforts. Stetson University ranks No. 5 on U.S. News & World Report's 2019 list of Best Regional Universities (South), and No. 3 on the list of Best for Veterans Regional Universities (South). There are 165 schools in this category. Hyatt and Cici Brown, longtime Stetson University Trustees and supporters, announce an $18 million donation — the largest single gift in the university's history — to construct a new science building on the DeLand campus and expand science programs. With Sage Science Center operating close to capacity, the donation allows Stetson to better meet the needs of local employers. Centurion Sales Program opens a new lab with recording rooms designed to help students develop and refine their sales techniques. The high-tech lab is on the ground floor of the Lynn Business Center. U.S. News & World Report ranks Stetson University College of Law No. 1 in Trial Advocacy for the 19th time in 23 years, and fourth in the nation for Legal Writing. Stetson has consistently ranked among the top six legal writing programs since the inception of the Legal Writing rankings. Donald Payne becomes the first Hatter to sign with an NFL team in the modern era, training initially with the Baltimore Ravens and later moving to the Jacksonville Jaguars. In July, Stetson opens the first phase of the Carlton Union Building (CUB) renovated space, the North Lobby. A new bookstore, copy center and post office are part of the new space. Stetson Women's Basketball captures the ASUN regular season title for the first time in a dramatic overtime win defeating Florida Gulf Coast University 67-64. After polling Stetson students, SGA votes in favor of instituting a $5 student green fee to pay for projects that decrease the university's environmental impact. The Revolving Green Fund is created and students choose their first project, a solar array, in Spring 2018. The Institute for Water and Environmental Resilience receives $1.3 million from a federal court to create a Sustainable Farming Fund to help farmers reduce pollution that drains into area waterways. Chicken producer Pilgrim's Pride agreed to pay the money in a proposed settlement. Noel Painter, Ph.D., is named Executive Vice President and Provost of Stetson University, in January. Previously, Painter served as interim provost and a faculty member in the School of Music. Painter succeeds Elizabeth Paul, Ph.D., who had been named president of Capital University in Columbus, Ohio. University undertakes Campus Climate Study as part of the Many Voices, One Stetson initiative. The Marshall & Vera Lea Rinker Welcome Center opens, providing students and alumni with key services and space. Renovation and expansion work begins on the Carlton Union Building, a three-year project that will increase the building's square footage by 67 percent. Community Catalyst House program was launched in houses that were formerly single-family homes that were renovated for student housing. Stetson Palms Apartments, Stetson Oaks Apartments opens, featuring apartment-style student housing in an off-campus complex the university purchased and renovated. House F was added to campus housing, renovated and expanded for Lambda Chi Alpha fraternity. Stetson’s Institute for Water and Environmental Resilience is established. The Institute focuses on water and environmental research and public policy. Clay Henderson is named as the first executive director. Sandra Stetson Aquatic Center is announced. The project on the shores Lake Beresford will provide a home for Stetson Rowing, the water institute, and space for aquatic research. Hollis Family Student Success Center opens in duPont-Ball Library. The center provides academic support and spaces for mentoring, tutoring and group and individual study. Brown Center for Faculty Innovation and Excellence launches to promote faculty vitality and vibrancy through learning opportunities. Stetson Student Veterans Organization and the university dedicate a new campus flagpole, and the Veterans Memorial Plaque and Brick Path in front of the Carlton Union Building. Vietnam Memorial Remembrance Site is dedicated, just north of Griffith Hall. Innovation Lab in duPont-Ball Library doubles in size, featuring 3D printers, virtual reality workstations and a variety of MakerSpace equipment. On Aug. 1, 2014, Stetson's residential campuses officially become tobacco/smoke-free. WORLD: The David and Leighan Rinker Center for International Learning is endowed, enabling the center to increase and support internal and external global initiatives including increased study abroad. A new chapter of Sigma Gamma Rho sorority opens, making it the university's only National Pan-Hellenic Council (NPHC) member on campus. NPHC is the umbrella organization for the nine historically African-American sororities and fraternities. On Aug. 31, 2013, Stetson Football plays its first official game since the 1956-57 season. The team is part of the non-scholarship Pioneer Football League. Play is halted on Saturday night due to inclement weather, and the game is resumed the following day. University Hall student housing opens in a former hotel the university purchased and renovated. The Athletics Training Center complex opens, featuring a fieldhouse/training center and game-day and practice fields. Stetson Cove Apartments opens, featuring apartment-style student housing in an off-campus complex the university purchased and renovated. Values Conversations that spanned 2011-2012 result in a renewed values statement organized around three core values: Personal Growth, Intellectual Development and Global Citizenship. New Hatter mascot, John B, makes first public appearance. President Wendy B. Libby, Ph.D., announces the return of Stetson Football and the addition of a Women's Lacrosse team. Stetson becomes a pet-friendly campus with the opening of its first pet-friendly residence hall. U.S. Supreme Court Justice Clarence Thomas speaks to Stetson students, faculty and staff at the College of Law campus in Gulfport. Stetson University entered a new era of leadership on July 13, 2009 when Dr. Wendy B. Libby became the ninth president in Stetson University's history and the first woman to hold the post. Before coming to Stetson, Libby was president of Stephens College, the nation's second-oldest women's institution, for six years. Stetson is one of the first higher education institutions in Florida to sign up for the Yellow Ribbon GI Education Enhancement Program (Yellow Ribbon Program). The program is part of the Post-9/11 Veterans Educational Assistance Act of 2008 that took effect Aug. 1, 2009, and represents a partnership between the VA and the university. Several buildings open on the DeLand campus: The Homer and Dolly Hand Art Center, which houses the university's collection of art by Modernist painter Oscar Bluemner (1867-1938); Mary B. McMahan Hall, which features performance and office space for the School of Music; and the Marshall and Vera Lea Rinker Environmental Learning Center, which becomes the second LEED-certified building on campus. University Village Apartments student housing complex opens, providing apartment-style living options. The university opens its second satellite location, the Tampa Law Center in Tampa, Fla. The Eugene M. and Christine Lynn Business Center becomes the first building in Florida to be certified as a green building by the U.S. Green Building Council under its Leadership in Energy and Environmental Design (L.E.E.D.) Green Building Rating System (TM). The university opens the Center at Celebration in Celebration, Fla., Osceola County's first university campus. Stetson University was the first educational institution to receive a Year 2000 Sustainable Florida Award honoring the university's implementation efforts and community involvement with recycling and energy conservation. The Hollis Center opens. The Hollis Center was built to serve as a student athletic and recreation center, complete with a fitness gym, field house for intramural sports and recreation room. The center was built to incorporate the pre-existing swimming pool as a feature of the facility. The center's name honors the Hollis family. Four generations of the Hollis family have been involved in the life of Stetson University. In addition to funding the Hollis Center, trustee emeritus Mark Hollis and his wife, Lynn, also have established student scholarships and endowed chairs for health and wellness. After a long relationship, Stetson University formally ends its affiliation with the Florida Baptist Convention. H. Douglas Lee is named the university's eighth president. Under his leadership, various buildings were added to campus, including Griffith Hall, the Hollis Center, the Wilson Athletic Center, the Lynn Business Center, new dormitories, the Hand Art Center, McMahan Hall and the Rinker Environmental Learning Center. Highlights of the Lee administration include the $200 million dollar fund campaign, the opening of the Center at Celebration, the construction of Melching Field at Conrad Park (a state-of-the-art baseball stadium), the expansion and renovation of both the duPont-Ball Library and Sage Hall, the inauguration of the Institute for Christian Ethics and the Howard Thurman Program (established to integrate the works of scholars and community leaders to seek solutions to social, religious and ethnic problems) and the creation of the University Values Council. Stetson University becomes the first private college in the State of Florida to host a chapter of Phi Beta Kappa, the nation's oldest honor society. Stetson University's Model U.S. Senate was founded by political science professor T. Wayne Bailey and then-political science student John Fraser. It is the nation's oldest collegiate-level model Senate. The Stetson Law Review is first published. The university's swimming pool opens. President Paul Geren inaugurates the new pool by jumping on the ceremonial ribbon into the water fully clothed. Students, faculty, and staff carried the entire contents of the old Sampson Library (over 100,000 materials) into the new duPont-Ball Library. Students were asked to help move books for one hour, but many were so enthusiastic that they stayed the entire day. Stetson University becomes the first private, non-HBCU university in Florida to integrate. Nine African-American teachers attended graduate summer school in 1962. Cornelius Hunter (pictured), the university's first African-American undergraduate student, graduated in 1966. George Williams Sr. was the first African-American to earn a degree from Stetson University- a master's degree in guidance and counseling in 1964. The university purchases a massive Beckerath Organ for use in the Elizabeth Hall Chapel. 56 crates were shipped from Hamburg, Germany, to DeLand, where three men from the organ workshop spent two months assembling it in place. Rudolph von Beckerath came to DeLand after the assembly was completed, to perform the voicing of the 2,548 pipes in the instrument. In 1992, a new case for the organ was built and, in 2004, the organ was cleaned and improved with the addition of a new console and pedal board. The organ's 50th anniversary was observed with a two-day celebration in 2011. The Board of Trustees votes to end the football program. Over time, with shifting priorities and student attitudes, the program had lost its prominence. Most of the schools the university had played had either abandoned their programs or grown too large to compete against. The final football game was played in 1956 against the University of Havana. Though the times had changed, they would change again, as football returned to Stetson University in the fall of 2013. Pictured is the university's 1957 football team. The university's geography department is introduced and is the first geography program in Florida. The university began its affiliation with Gamma Theta Upsilon, the international geography honor society, in the same year. Sept. 20, 1954- Stetson University College of Law moves to Gulfport, Fla., from its inaugural home in Flagler Hall at the DeLand campus. In 1951, the Holler Fountain was installed as the centerpiece of Stetson's Quadrangle, bounded by Elizabeth Hall, Sampson Hall and the formerly-present Stetson and Holmes Halls. The Art Deco style fountain was built in Central Florida in 1937 for the Florida exhibit at the Great Lakes Exposition in Cleveland, and was also featured in the Florida display at the 1939-1940 World's Fair in New York. Lawns, benches and walkways surround Holler Fountain. It is a common meeting place on campus and classes are often held outdoors nearby. It is also used for student activities, concerts and outdoor university receptions. The School of Music is established as Florida's first collegiate school of music. William Sims Allen is named as president. 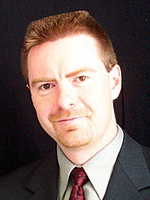 Allen graduated from Baylor University and earned advanced degrees from Columbia University. Allen returned to Baylor where he served as vice president and chairman of the school of education prior to coming to Stetson at age 46. Although Allen coped with the challenges of the Depression years and World War II, Stetson grew from a few hundred students to 2,000 during his time in office. In order to deal with the rapid growth, Allen initiated a program of expansion that included establishing separate schools for the disciplines of music and business. The physical campus also grew during this period and higher academic standards were put in place. The Allen inaugural address was carried over the first Florida statewide radio transmission. Stover Theatre opens. A masonry vernacular one-and-a-half-story building, Stover Theatre was built for the oldest collegiate theatrical company in the South. Originally called Assembly Hall, because Florida churchmen complained about the university's building of a "theatre," it was renamed Stover Theatre in 1938 to honor Stetson professor Dr. Irving Stover, who was head of the speech department from 1908-1964. He died in 1965, and is rumored to haunt the building. Cummings Gymasium is erected. It was the second gymnasium built by the university. The first, a small wooden structure, now demolished, was said to be the earliest college gym in Florida. Two other gym facilities, the Edmunds Center (1974) and the Hollis Center (1998), have made Cummings obsolete as a gymnasium. Sampson Hall opens. Built at a cost of $40,000, Sampson Hall was financed by steel magnate and philanthropist Andrew Carnegie, with a matching gift of $40,000 from Elizabeth S. Stetson, wife of John B. Stetson, for endowment. Designed by Henry John Klutho, the first Floridian to earn membership in the American Institute of Architects, it shows the conservative Neoclassicism found in many Carnegie libraries across the United States. It was later renamed Sampson Hall to honor C.T. Sampson, a university trustee, who had contributed over the years to Stetson's library fund and left an additional $20,000 for a library endowment when he died in 1893. Stetson University was the first university in Florida to employ a full-time librarian. Stetson University College of Law becomes the first law school in Florida to admit women. Florida's first female lawyer graduated from the College of Law in 1908. Pictured is the College of Law's class of 1916. Lincoln Hulley is named president of the university. Hulley had the longest tenure of any Stetson president to date, and guided the university through the World War I and Depression years. Hulley graduated from Bucknell University and went on to Harvard for post-graduate study. He returned to teach history at Bucknell and from there came to Stetson at age 39 to become president. Hulley was considered a great orator and was a prolific author and playwright. He composed a number of original plays for production by Stetson theater students. While serving as president of Stetson University, he served two terms in the Florida State Senate starting in 1918. The student body grew to 500 during his time in office and accreditation was obtained from leading accrediting agencies. New buildings during the Hulley years included Stover Theatre, a Carnegie Library (now Sampson Hall), Conrad Hall, Cummings Gymnasium, Hulley Gymnasium, and the original Commons building (which later burned down over Christmas break 1954/1955). Lincoln Hulley died in office in 1934. Flagler Hall opens. The building was financed by railway magnate Henry M. Flagler, who required the university to keep his $60,000 gift a secret, for fear other institutions would ask him for money. After his death in 1913, the three-story classroom building was renamed in his honor. Flagler himself dictated its Mediterranean style, which he used for several other projects in St. Augustine and Palm Beach. Flared foundation walls, brick courses defining each story, brick surrounds on the second story arched window openings and terra cotta cast Mediterranean ornamentation are major features. The main entrance features a broken pediment and bust of Benjamin Franklin in an elaborate arch surround of cast terra cotta. On the second story, over the entrance, is a recessed balcony with ornamented terra cotta columns, and over the third is a monumental tablet breaking the roofline. Oct. 2, 1900- Stetson University College of Law, Florida's first law school, is founded. The business school curriculum is established. Stetson University's School of Business Administration is the oldest in Florida. Nov. 29, 1894- Stetson played its first football game (an intramural game) in front of hundreds of onlookers. DeLand University is renamed to John B. Stetson University. The Stetson Reporter, Florida's first college newspaper, is published for the first time. DeLand College is chartered by the Florida State Legislature as DeLand University. Stetson Hall (pictured) is completed and is the second building on campus. Built at a cost of $12,000, Stetson Hall opened with a furnace and running water on all three floors. The first floor contained offices, a dining room, a kitchen, a room for the preceptress who had charge of building and living quarters for the university's first president, John F. Forbes, and his family, who stayed in the building until 1903. Stetson Hall may have been Florida's first co-ed residence hall. DeLand Academy renamed to DeLand College. John F. Forbes (pictured) is named as the first president of DeLand College. Forbes, who was personally selected by Henry A. DeLand, was president of the university until 1904. Forbes graduated from Rochester University and was a former professor at the State Normal school in Brockport, N.Y.; he was 32 when he assumed the office of president. He received a starting salary of $2,000 a year plus room and board for himself and his family. Enrollment grew from 88 students to almost 300 during President Forbes' tenure and a number of buildings were constructed, including Stetson Hall, Chaudoin Hall, Elizabeth Hall, Flagler Hall and the residence of the president. Oct. 13, 1884- DeLand Hall (pictured) opens. The original cost of the building was $4,000. The first academic building at the DeLand campus, DeLand Hall today is the oldest building in Florida in continuous use for higher education. Nov. 5, 1883- Henry A. DeLand and Dr. John H. Griffith inaugurate DeLand Academy in a lecture room of the First Baptist Church in DeLand, Fla. Pictured is the DeLand Academy's first bulletin (the document that today is called the "Stetson University Catalog").